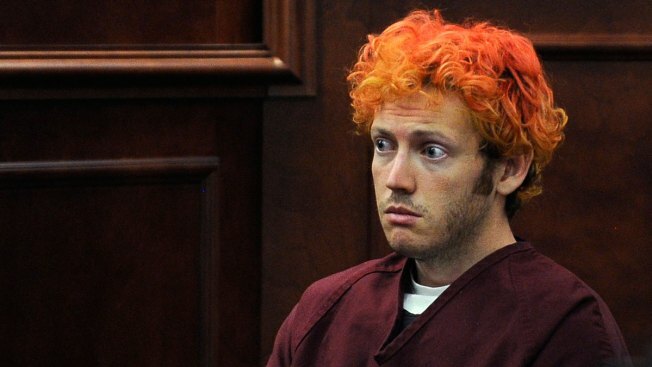 In this July 23, 2012 file photo, James E. Holmes appears in Arapahoe County District Court in Centennial, Colo. Nearly six months after a bloody rampage in a Colorado movie theater left 12 people dead, prosecutors will go to court Monday Jan. 7, 2013 to outline their case against the suspect, James Holmes. James Holmes should be put to death for the Colorado theater shooting because he deliberately and cruelly killed 12 people, including a 6-year-old girl, prosecutors told jurors Wednesday. The same jurors who convicted Holmes of murder and attempted murder last week -- swiftly dismissing his claim that he was legally insane during the attack -- must now decide whether to sentence him to death or life in prison without parole. Prosecutor Rich Orman made the case for death, showing jurors photos of each person killed and reading each person's name. "The defendant killed, and you have convicted him of killing, Jonathan Blunt," he began. When he came to the youngest, 6-year-old Veronica Moser-Sullivan, he reminded jurors that she "had four gunshot wounds to her little body." The defense offered no counter-argument, effectively conceding that prosecutors had met the first of several requirements for the death penalty: That at least one aggravating factor was present in the massacre. The jurors have the final say on Holmes' sentence, but they also have a major influence how the proceedings unfold. After each phase of the process, they meet to decide whether they've heard enough to make a decision. And with counterpoint from the defense on aggravating factors, jurors immediately began deliberating whether prosecutors had made that part of the case beyond a reasonable doubt. Sentencing is expected to last a month, and could be even more heart-wrenching and polarizing than the 11-week trial that resulted in convictions on murder, attempted murder and other crimes for his July 20, 2012, attack. The attempted murder convictions were for the 58 people he wounded and another 12 who were injured in the mayhem he caused. But jurors will decide sentences for only the 12 people he murdered; sentencing for the lesser convictions is set by law. Assuming jurors agree, the defense will lead the next phase, trying to show that mitigating factors make it wrong to execute him. This is where the personal values of each juror becomes paramount. They must consider whether the extent of his mental problems should outweigh the lifelong suffering Holmes caused by opening fire on the audience in a crowded Batman movie premiere. His lawyers will cite defense experts who diagnosed Holmes with schizophrenia and other disorders, and could call his parents, neighbors, a college roommate and officials from charities where Holmes volunteered to testify. Already, a fifth-grade teacher who gave videotaped testimony early because he was unavailable during sentencing repeatedly referred to Holmes as "Jimmy" and described him as a bright student with a big smile. Jurors would then deliberate for a second time, to decide whether, beyond a reasonable doubt, the mitigating factors so outweigh the aggravating factors that Holmes deserves life without parole rather than execution. If so, the trial ends there, without the death penalty. But that, too, is unlikely in this case. What's most likely is that the sentencing will enter a third phase, in which victims and their relatives will describe the impacts of Holmes' crimes. Prosecutors could then offer more heartbreaking accounts, ranging from people Holmes maimed to the father of the 6-year-old victim. Holmes also will have opportunities to testify during each phase, but he said Tuesday that he did not want to, at least during the first phase. The panel of nine women and three men will have fewer instructions to guide them and will instead use their own personal and moral values in sentencing. "It is going to be intense," said Denver defense attorney Iris Eytan, who represented Holmes initially but is no longer involved in the case. Holmes' lawyers "will call anybody who James Holmes has had interaction with that can say he has a serious mental illness." Their work will be challenging because, by most accounts so far, Holmes has not had a difficult life, Eytan said. He was raised by loving, middle class parents in California, graduated with honors from the University of California, Riverside, and was accepted into a prestigious doctoral neuroscience program at the University of Colorado. "But what he does have is, his lawyers can show how he has been fine his whole life, how he has contributed to society his whole life and how mental illness broke him in such a severe way," Eytan said.